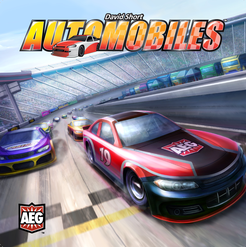 A deck building game with a bag of cubes instead that you pull from to move you car in a race. This sounded like a perfect mix of one of my favorite mechanisms (deck building) with some unique theme like racing. The game is not bad, but after playing it 5-6 times i failed to find much to like in it. First of all it is too much random and “swingy”. You can crawl a few spaces for a few turns and then jump half a track ahead. Yes, you have to manage your pull of cubes and improve the selection, but this just doesn’t work. Hard to explain. There is too much trash in your bag from the start and you get even more of it during the race. There are some cubes that help you cull bad cubes, but those cubes on their own will clutter you selection. Also this is hard to foresee which regular racing cubes you will need the most, because every track twist needs different ones and you can pull completely useless ones from the bag. The game provides a lot of variability with different setups (every cube color has a few cards with different abilities, which can be used in a game). But that creates another problem of constantly checking what a particular cube does in a particular game. Yes, you will probably memorize it after a few turns, but this memory won’t stay with you, because next time you will have to memorize different abilities. This gets especially frustrating when playing online and doing a few moves per day (i know, this is not fair, as this game is not designed to be played this way, but that’s how i play the most). So, i admit this is a unique and clever design with a bag building mechanism and interesting racing theme, but only 7/10 for me.